Your Vanity Is now a Throne With This New Collection From Urban Decay — Pepper B.
It’s just one week until the final season of Game of Thrones begins. I can’t stop humming the theme song and crossing my fingers that my faves don’t die! Protect Arya Stark at all costs! The show is finally coming back after nearly 2 years. 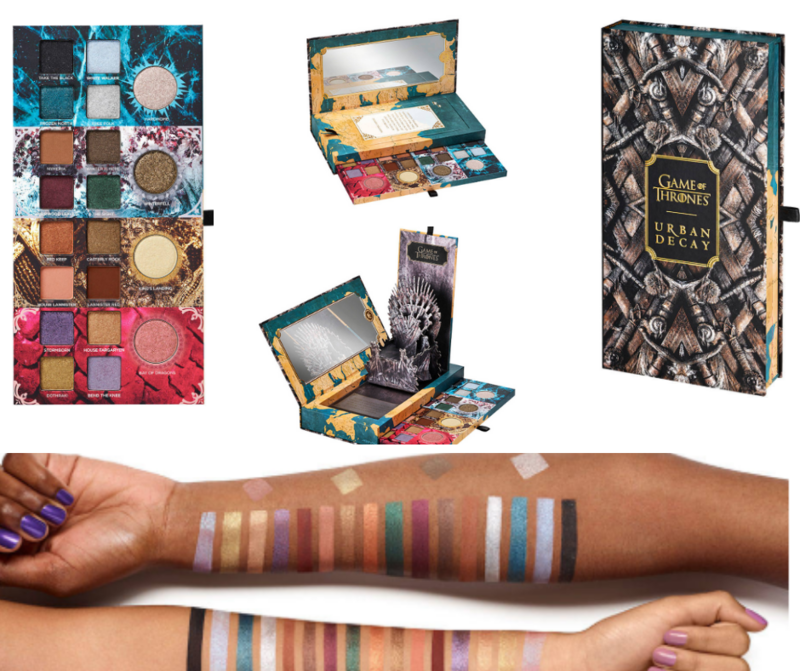 Urban Decay has sensed the anxiety of us fangirls and gifted us a GOT beauty collection for the throne! A girl has no name but a girl has got a beat face. As of today, no release date has been announced but I would speculate either sometime before the first episode airs or sometime during the season. We also don’t know if this will be an Urbandecay.com exclusive or sold in stores at Sephora or Ulta. Follow us on IG @meetpepperb for updates! Book Series. Tv Series. Beauty Collection. This is the action figure of eyeshadow palettes. There’s a hidden Throne and the eyeshadow detaches from the box. There are beautiful neutrals and pops of color. GOT is half sword fight scenes half dramatic pauses. The large eyeshadow replicates Jon Snow’s Longclaw sword. The smaller one is still powerful like character’s blade is honors: Arya’s sword, Needle. The 24/7 glide on pencils are actually incredible and the shimmery shades are stunning! Mother of Dragons highlight palette with three shades that will make your cheeks so luxurious, the Lannisters might try to steal them! When Khaleesi commands her dragons with Dracarys, there is no escaping their flames. When you command Dracarys, you know your look will be fire! The answer is yes. I want them all.